Fairfax, Virginia – FVCbank announces the addition of Thomas W. Grantham as senior vice president of the bank’s commercial lending team in Arlington, Virginia. Grantham brings extensive lending experience in commercial real estate, business, commercial and residential construction and permanent loans, as well as a dedication to developing long-standing relationships with his clients, some of which exceed 25 years. Grantham joins FVCbank from Cardinal Bank, now United Bank, where he developed a stellar reputation for his consistent service to the Arlington community. Prior to Cardinal Bank, Grantham assisted businesses and communities in their growth and development at both Provident Bank in Falls Church, Virginia, and at Southern Financial Bank in Fairfax, Virginia. His banking career began at First Federal of Arlington Savings & Loan. “I’m thrilled to join the team at FVCbank, where I’ll be able to continue to serve familiar faces and work with new people to meet the needs of Arlington’s business community and help them achieve success,” Grantham said. A resident of Arlington, Virginia, for more than 50 years, Grantham’s active involvement in his community includes his volunteer work as director of the Kiwanis Foundation of Arlington and membership of the Leadership Center for Excellence. 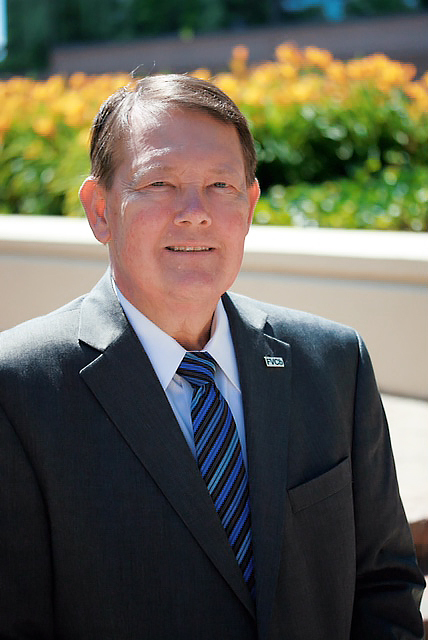 He previously served as a board member of the Arlington Chamber of Commerce, and twice led as the Chamber’s director. He received the 2011 Man of the Year Award from the Inter-Service Club Council of Arlington. Grantham’s additional interests include serving children through Kiwanis International, Arlington Food Assistance Center, Capital Caring and the Leadership Center for Excellence – Class of 2014. Celebrating 10 years of sound financial performance and continued growth, FVCbank commenced operations in November 2007 and is the wholly-owned subsidiary of FVCBankcorp, Inc. FVCbank is a $921.1 million Virginia-chartered community bank serving the banking needs of commercial businesses, nonprofit organizations, professional service entities, their owners and employees located in the greater Washington D.C. metropolitan and Northern Virginia area. Locally owned and managed, it is based in Fairfax, Virginia and has six full-service offices in Arlington, Ashburn, Fairfax, Manassas, Reston and Springfield, Virginia. Visit www.fvcbank.com for more information.